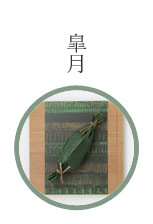 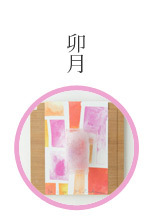 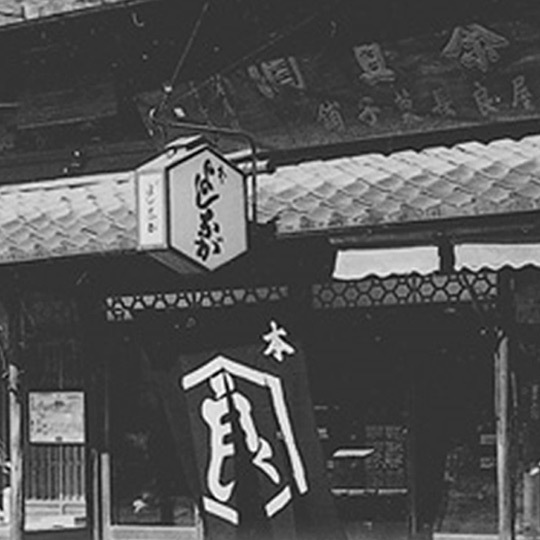 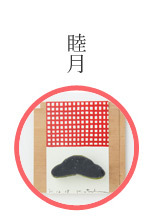 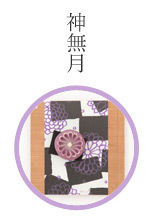 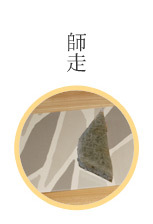 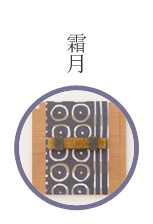 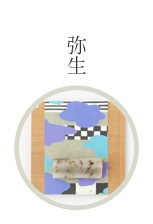 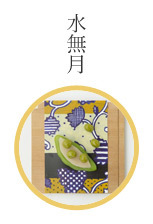 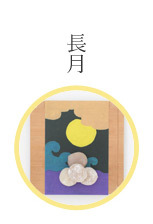 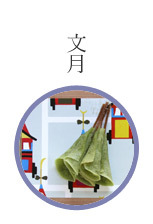 "Textile name : Taisho (Heisei 25)"
It is the hottest season of the year at the end of July. 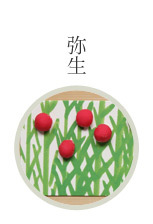 It is the time all living things are full of vitality. 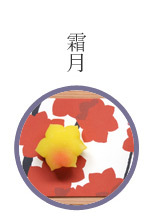 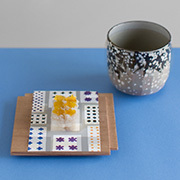 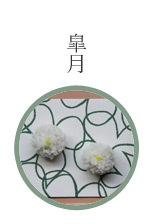 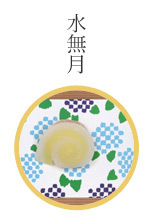 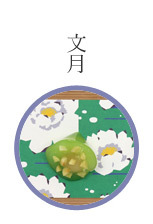 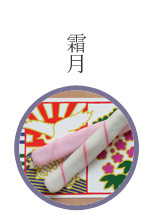 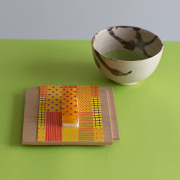 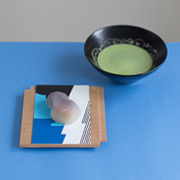 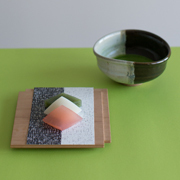 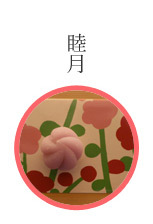 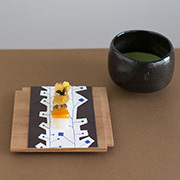 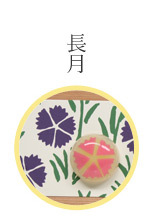 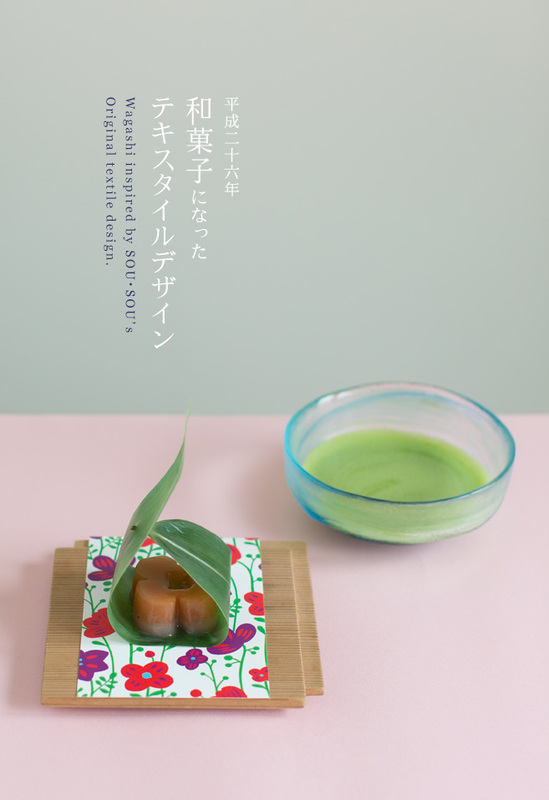 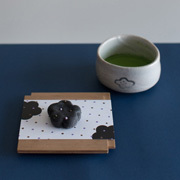 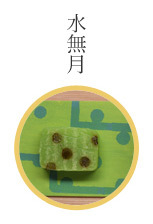 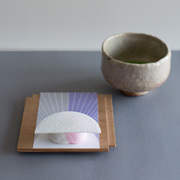 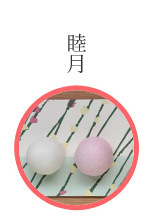 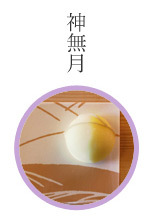 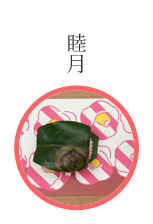 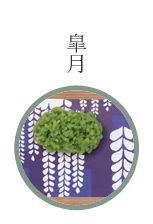 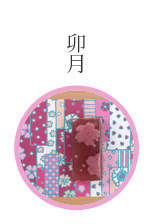 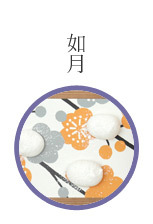 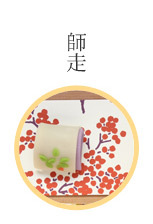 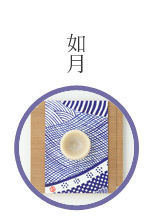 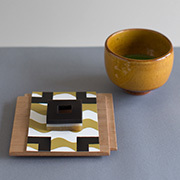 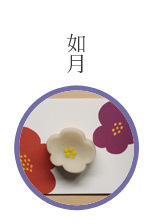 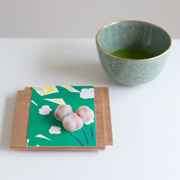 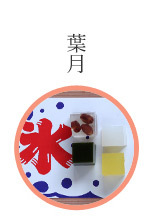 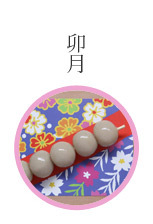 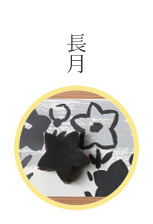 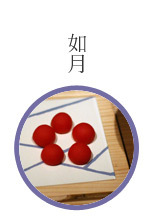 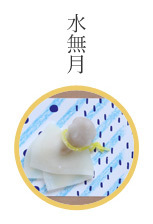 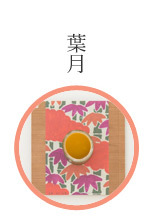 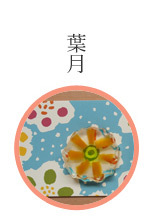 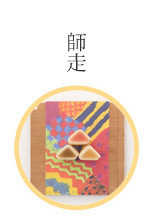 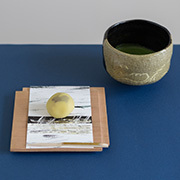 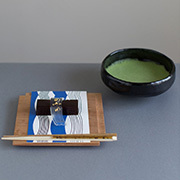 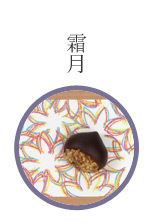 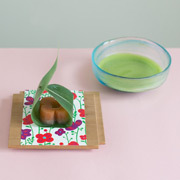 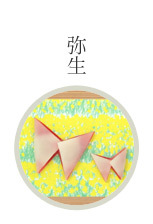 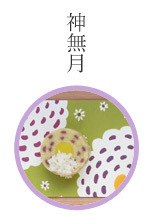 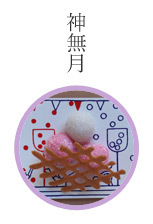 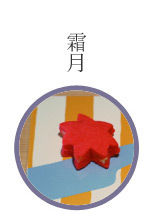 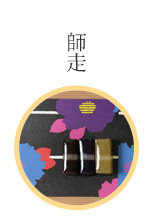 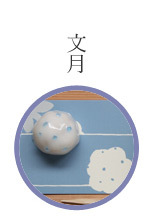 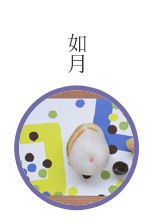 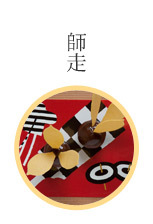 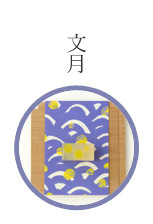 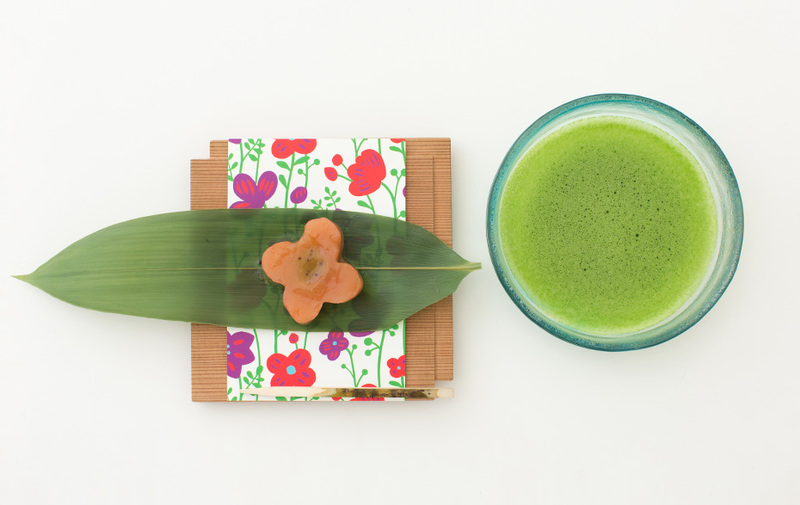 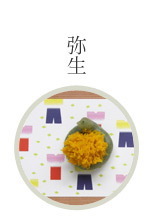 July’s wagashi is mizu-yokan which makes you feel cool in look in boiling summer. 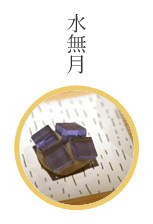 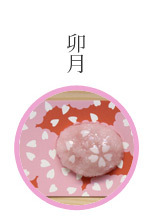 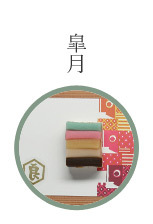 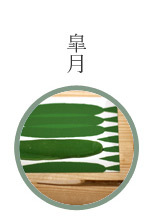 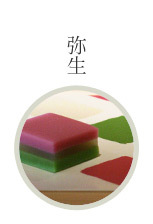 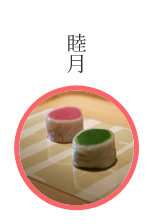 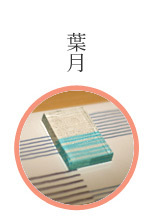 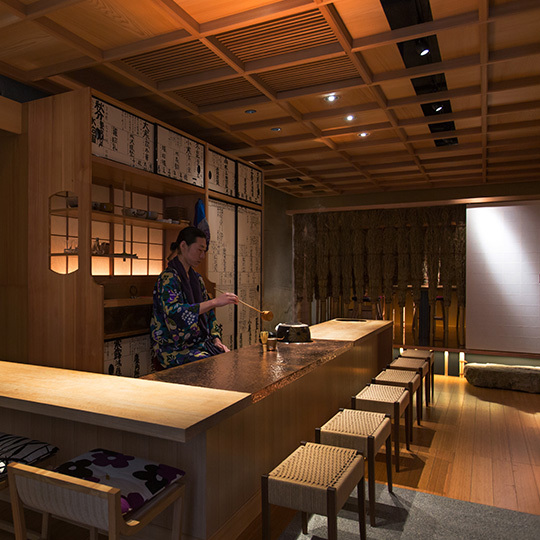 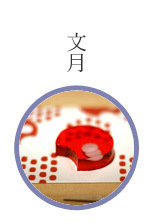 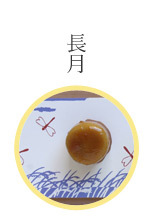 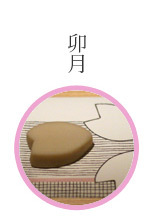 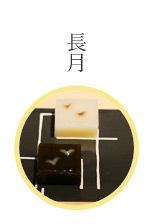 Mizu-yokan is a kind of yokan, gelled sweet bean paste, which contains more water and agar to give it soft texture. 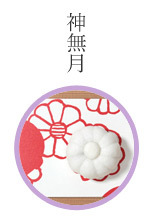 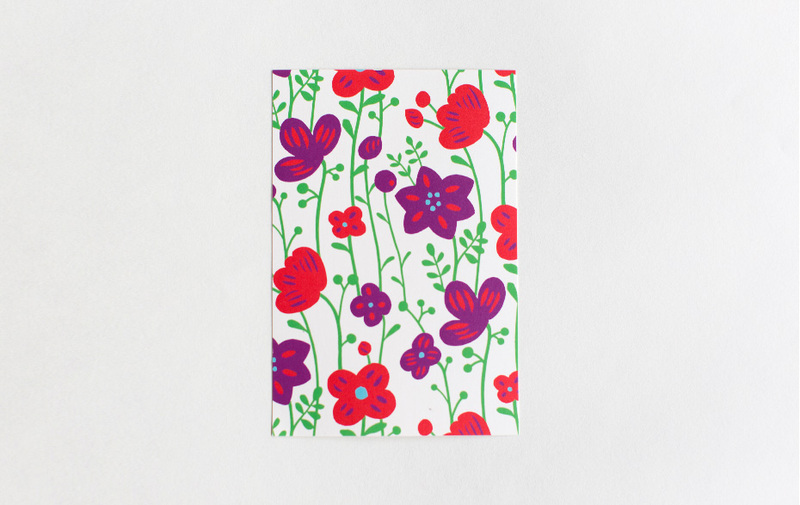 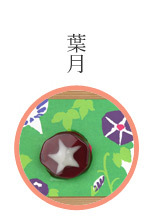 It has two layers in red and white, and cut out in the shape of flower of the textile. 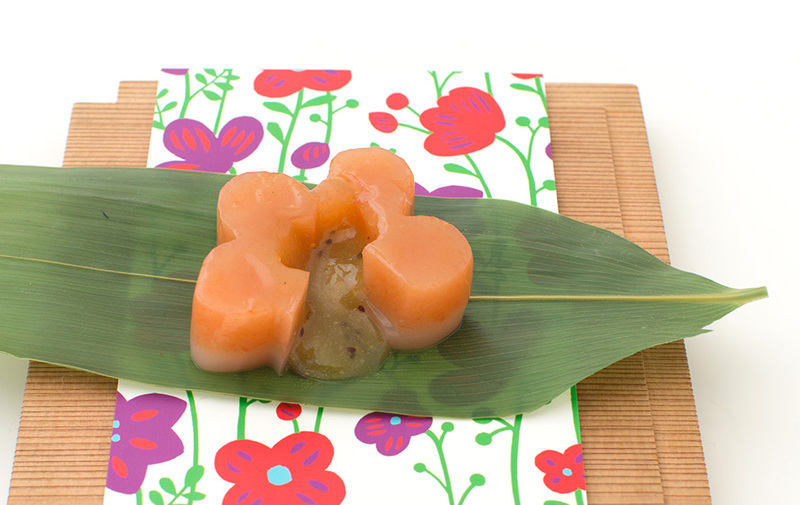 Kiwi fruit jelly is inside of it, which combines two tastes of mizu-yokan, made of much tomato and white peach in the best season.